Are you fanatical about folk music? 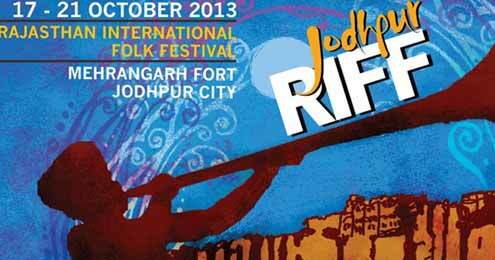 Get ready to enjoy a delightful gala time in Jodhpur at the Rajasthan International Folk Festival (RIFF) 2013. This cultural event will begin from 17th October and last till 21st October and the city welcomes about 250 musicians and artists from all across the globe. This fest is mainly to get together and celebrate the musical heritage of Rajasthan and along with this, also create music using innovative collaborations along with an amazing fusion of local and international folk music. RIFF is the first annual folk festival of India, which is popular for the celebration of the traditional folk music. The fest was first organized in the year 2007 and witnessing huge success, the RIFF society (Jaipur Virasat Foundation and Mehrangarh Museum Trust) organizes this fest every year in October. This celebration time rekindles the charm of folk and fusion by inviting folk music and art connoisseurs from every nook of the world. 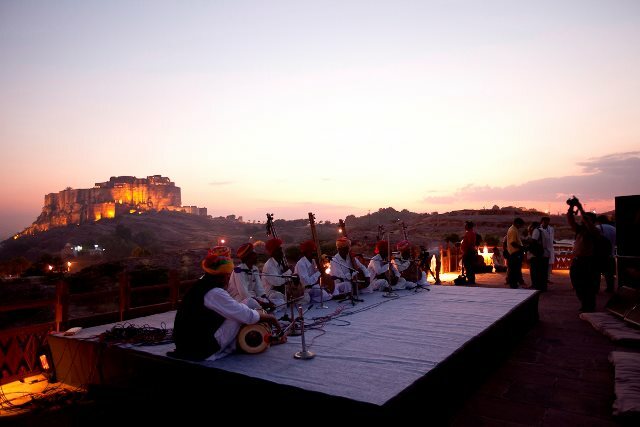 The venue of the musical festival will be set in a location where guests could enjoy Mehrangarh Fort in the backdrop. RIFF will feature numerous events such as gypsy & traditional dance forms, a Rajasthani night, jazz night, early morning ragas and a lot more. During the festival, the brightness of the full moon will also add an earthy & a royal touch to the celebration. The passes for the RIFF Jodhpur could be made available through online booking. There minimum fee of INR 300 is for the donor pass. With this the guest could attend only one of any interactive folk session. The 'full donor pass' is also available that allows the guest to enjoy the cultural flavor of Rajasthan by attending the RIFF and excursion to museums and forts. The ‘full donor pass’ is worth INR 6,500. Before booking please make a note that there is ‘no cancellation and no refund’ policy. 18th October: RIFF Dawns with the Harijas of the Meghwal of Marwar; Living Legends I; Moody RIFFS - Daya Ram; Maya Kamaty; SPIRO; Manu Chao La Ventura; Desert Lounge (all acoustic, traditional – from Rajasthan). 19th October: RIFF Dawns with cousins Imran Khan and Dilshad Khan; Living Legends II; Northern Lights - Daud Khan Sadozai; Linda Gytri; James Mackintosh; Rizwan - Muazzam; EDGE. 20th October: RIFF Dawns with the bhajans of brothers Barkat and Jalal Khan; Moonrise with Babunath Jogi; Special Performance; Song, Strum & Beats - Jeff Lang and Bobby Singh; The Manganiyar of Marwar; The Gypsy Allstars; RIFF Rustle at Club Mehran with Cedric Leonardi, James Mackintosh, Kheta Manganiyar, Linda Gytri, Rajasthani musicians and surprise guest artists. Where to stay in Jodhpur: Guests interested in attending the RIFF Jodhpur are suggested to make advance booking for accommodation. There are numerous luxury hotels such as Taj Gateway, The Ajit Bhawan, Ranbanka Palace, Rohet Garh, Taj Hari Mahal, Fort Chanwa in Luni, Raas, and Balsamand Lake Palace in Jodhpur. The Umaid Bhawan Palace, official sponsor of RIFF, is also an exceptional accommodation choice. How to get to Jodhpur: The 2nd largest city of Rajasthan, Jodhpur, is well connected with by road, rail and air. There are regular flights from Mumbai and Delhi. Apart from this, there are direct trains from almost all major cities of India. In case you choose to travel by road, book taxi in advance as booking becomes a bit difficult during peak season.